Climate change has been described as “the defining issue of our time” by António Guterres, UN Secretary-General. It is adversely impacting people across the world through altered weather patterns, extreme weather events, rising sea levels and the consequent salination of soil. Already, such impacts are so severe that climate change is a factor in people having to abandon their land and homes, and the impact is felt especially powerfully in small island states. Climate change as a factor in migration is not a future possibility, but today’s reality. However, those who are forced from home by climate change are currently excluded from the international conventions addressing migration and refugees, and their existence, aspirations and needs overlooked. One of the purposes of the day was to address this anomaly. 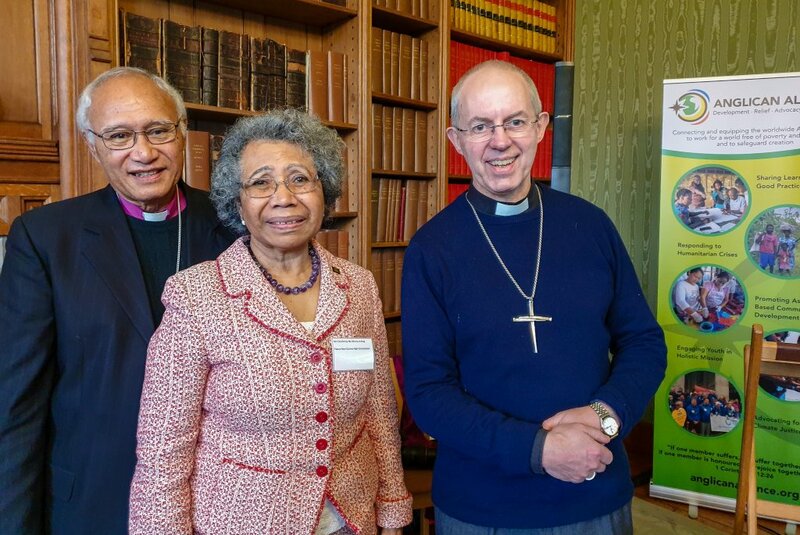 A roundtable of distinguished academics, diplomats, faith leaders and faith-based organisations met at Lambeth Palace under the aegis of the Archbishop of Canterbury to explore migration caused by climate change. Central to the day were contributions from Oceania, the Indian Ocean and the Caribbean – from people who are involved and affected – to see what can be learnt in the search for effective responses. See the videos, photos and details of the meeting in the article here.